Quick overview New in the 'Renaissance Lives' series from Reaktion, this is a biography and analysis of the life and work of Hieronymus Bosch (c. 1450 - 9 August 1516), an enigmatic painter of eerie and infernal visions. In his lifetime Hieronymus Bosch was already famous for his fantastic painterly creations. Today his name has become synonymous with eerie and infernal images. Seeing Bosch's enigmatic paintings, the viewer is faced with riddles that result in numerous interpretations. Some have tried to explain the supposedly inexplicable symbolism by exploring the alchemical context or by suggesting that Bosch embraced secret pagan cults. With the utmost seriousness, it was debated whether he had belonged to the order of the Brethren and Sisters of the Free Spirit or the Adamites, a group that had been persecuted as heretical. Clues were sought in order to prove that he belonged to the Cathar faith and indulged in occult practices, free love or mysterious drugs and witches' salves. Some tried to understand his visual worlds through esoteric explanations, while others tried to decode them with the methods of abnormal psychology and psychoanalysis. For a painter of his time, Bosch's work and life is exceptionally well documented. 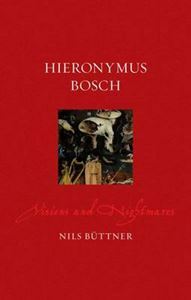 Around 100 historical records from Bosch's lifetime are still extant, shedding light on his works, their commissions and his social position.In this book Nils Buttner traces the career of a painter who worked for the highest aristocratic and courtly circles, and explains Bosch's paintings against the background of contemporary culture and social reality. This fresh and insightful work on Bosch appears in the 500th anniversary of his death.